The Great Western Railway opened “Dilton Marsh Halt” on 1 June 1937. The wooden platforms were 300 feet (91 m) long and were provided with small wooden shelters; the construction cost £1,134. Being a “halt” there were no staff to sell tickets, but a sign directed would-be passengers to the “7th house up the hill” where Mrs H. Roberts sold tickets from her home. She had sold tickets on a commission basis since 1947. In 1969 the station was renamed as just “Dilton Marsh” platforms were reduced to the length of just one coach. 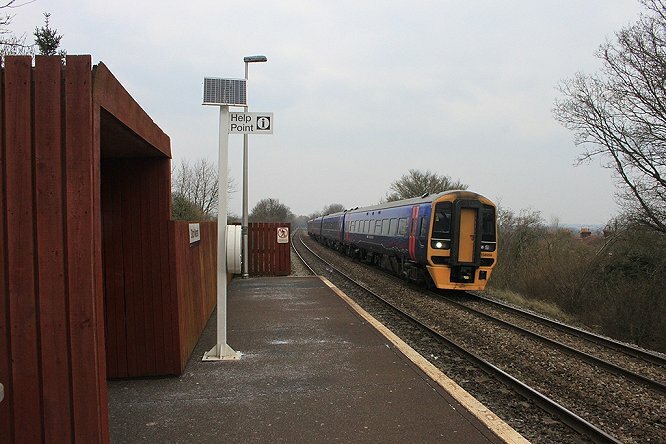 British Rail tried to shut the station but was met by strong local opposition. The remaining platforms were now in very poor condition and so they were rebuilt in concrete, reopening after an eight-week closure on 1 May 1994.